You are fond of chocolate? You are counting the days until Easter? If you are in Paris this week I suggest you to visit the ‘Train du Chocolat’. 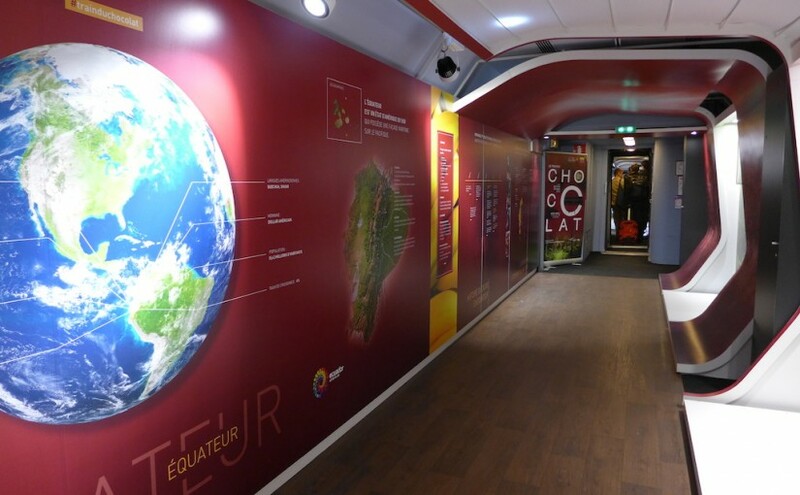 It is a real train made of four carriages which goes from station to station in Paris and offers a free exhibition to learn more about the history, the production and the tasting of cocoa and chocolate. You will get the answers to all those questions in the very interesting exhibition offered by Yves Thuriès in the ‘Train du Chocolat’. The train will stop at the Gare du Nord on Thursday 19 March, at the Gare de l’Est on Saturday 21, and at the Gare Saint Lazare on Sunday 22. And if you miss it, you can either wait until next year… or visit Chocostory, the Parisian Museum of Chocolate, open all year.